I’m not saying this is only based on scientific evidence and a lot of recent research against gluten but I’ve tried this personally and with a lot of my personal clients too. 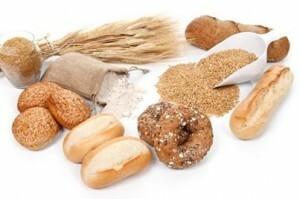 Whole wheat is better than refined bleached white flour but is NOT necessarily the best for you. Some of us are just a bit more sensitive to Gluten compared to the others. You may or may not be able to evaluate that with an allergy test. I always try going gluten free with some of my clients; specially the ones who complain of lethargy (tiredness) all the time, and then we introduce it again after a while to see if they feel any different. To be honest, my faith in this strategy became very strong when an autistic child started to feel a lot better without wheat and wheat based products. So if giving up wheat is not something you’re up for but you struggle with a whole lot of health issues, it’s worth going cold turkey for a while to see if there are any improvements. For a real non gimmicky weight loss approach get in touch.